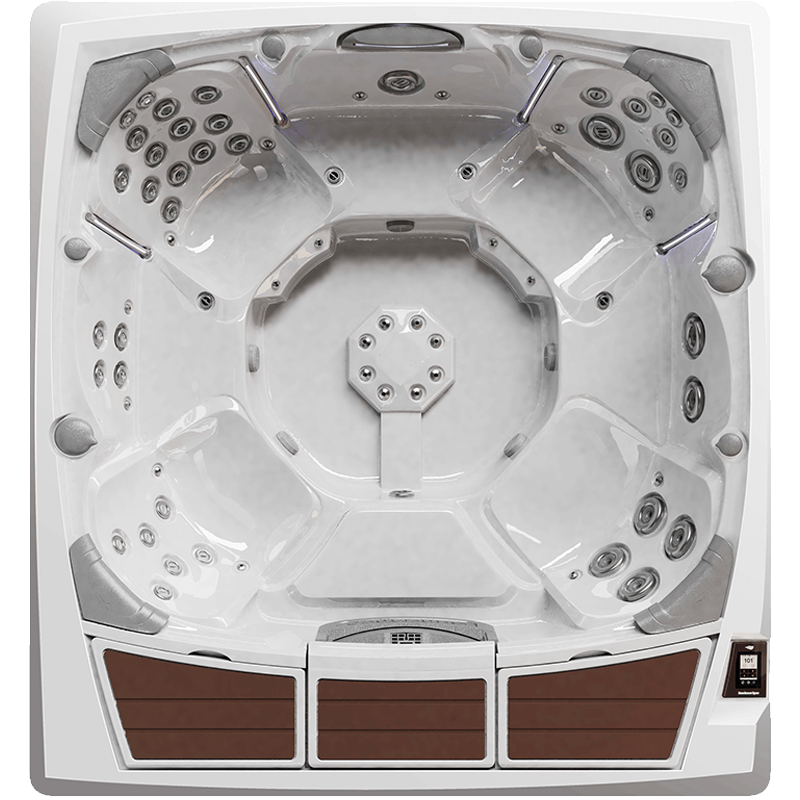 7'8" x 8'4" x 34"
Part of the 980 Series from Sundance Spas. The Kingston offers a large open layout, great for socializing and hosting guests. The integrated coolers offer two locations to keep chilled drinks at the ready. When not in use the coolers have solid tops and can be used as a seat to cool down or sunbathe. Available through Wells Fargo Outdoor Solutions.